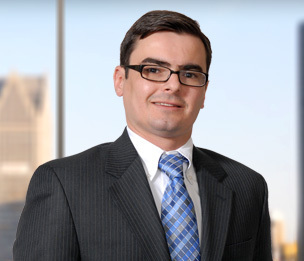 Andrew J. Kolozsvary is a member in Dykema's Business Litigation Practice Group. Mr. Kolozsvary represents publicly and privately held entities, and individuals, in all forms of business and commercial disputes. Mr. Kolozsvary’s business litigation practice focuses on complex commercial litigation and intra-entity business disputes involving officers, directors, managers, shareholders, members, and partners, with an emphasis on fiduciary duty claims, shareholder oppression claims, derivative suits, and securities litigation. He has significant experience representing clients in trade secret, unfair competition, tortious interference, and non-compete claims; business disputes in the health care industry; negligence and product liability matters in the aviation and automotive fields; franchise, consumer finance, commercial lending, and antitrust matters; and class actions brought under the Telephone Consumer Protection Act (“TCPA”). A privately owned transportation company and its owners in a shareholder oppression and breach of fiduciary duty suit brought by a disgruntled former owner, obtaining summary judgment affirmed by the U.S. Court of Appeals for the Sixth Circuit. A large, national retailer in False Claims Act qui tam suit and related class action involving alleged over-pricing of generic prescription drugs, obtaining dismissal on the pleadings affirmed by the Michigan Supreme Court. The City of Detroit in a suit to recover over $10 million in fees paid to the former federal police monitor as damages for breaches of fiduciary duty, obtaining a significant confidential settlement. A privately owned technology company in a suit alleging breach of contract, tortious interference, and trade secrets misappropriation related to government contracts, obtaining summary judgment affirmed by the Michigan Court of Appeals. An entity member of an ambulatory surgery center in an arbitration alleging breach of settlement agreement and shareholder oppression. A health system and individual hospital administrators in a breach of contract and conspiracy suit brought by physician regarding suspension of staff privileges, obtaining summary judgment affirmed by the Michigan Court of Appeals. A publicly held imaging company in arbitration, obtaining a $400,000-plus award on his client’s breach of contract claim. State ex rel. Gurganus v. Cvs Caremark Corp., 2014 Mich. LEXIS 1047 (Mich. June 11, 2014). Obtained leave to appeal to the Michigan Supreme Court and, on appeal, the Supreme Court reversed the Court of Appeals and reinstated the trial court’s grant of summary disposition in defense of False Claims Act and Consumer Protection Act claims brought in qui tam suit and related class action involving alleged fraudulent over-pricing of generic prescription drugs. This decision has especially significant ramifications because it is the first case in which the Supreme Court favorably cited, and appears to have adopted, the Iqbal/Twombly federal court pleading requirements for state court matters. Cullen Meathe v. Daniel Ret, et al., 2013 WL 5815570 (6th Cir. 2013). Affirming trial court’s grant of summary judgment in defense of derivative and individual claims for shareholder oppression, breach of fiduciary duty, fraud, RICO, and non-compete claims brought by a disgruntled former owner of transportation company against company and owners. Sharma v. Ascension Health, et al., 2012 WL 2126038 (Mich. App., June 12, 2012). Affirming summary judgment in defense of breach of contract claim against hospital for alleged violation of Medical Staff Bylaws. Lowry Holding Company, Inc. v. Geroco Tech Holding Corp., 2012 WL 1890231 (Mich. App., May 24, 2012). Affirming summary judgment in defense of claims under Michigan's Uniform Trade Secrets Act and for breach of contract and tortious interference with a business relationship. Residential Funding Co. v. Saurman, 490 Mich. 909 (2011). Michigan Supreme Court reversed a Michigan Court of Appeals decision that had held that Mortgage Electronic Registration Systems, Inc. could not validly foreclose by advertisement and that such foreclosures were void ab initio. In reversing this decision, the Supreme Court held that MERS, as the mortgagee of record, is authorized to foreclose by advertisement under Michigan law. Milne v. Accurcast, Inc., NO. 08-13643, 2010 WL 374176 (E.D. Mich., January 25, 2010). Granting summary judgment in defense of breach of contract and Michigan Sales Representative Commission Act claims. Grech v. American Home Mortg. Servicing, No. 292121, 2010 WL 3767609 (Mich. App., Sep. 28, 2010). Affirming dismissal of challenge to foreclosure by advertisement. Thielen v. GMAC Mortgage Corp., 671 F. Supp. 2d 947 (E.D. Mich. 2009). Granting motion to dismiss claims under Truth In Lending Act and Home Ownership and Equity Protection Act.